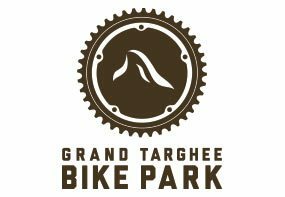 Grand Targhee, Wyoming In summer 2018 premium members saved with half off bike park tickets, up to $19 daily Members once again save with discounts on lift tickets of $10 off daily during 2018.19 ski and snowboard season. Also huge savings on lodging up to 40% off. See coupons below. Add additional any day lift tickets with Premium plus membership while supplies last! Join now at best price and save all year, summer, fall and winter. Tucked into the western slope of the Tetons, a powder sanctuary awaits. Trapped against a high alpine barrier, regular snowstorms deposit consistent double-digit snowfall on our 2,600 acres of glades, bowls, and groomed runs. We are home to the most annual snowfall in Wyoming and you'll love our light, dry Teton powder! 1 deals, discounts, and coupons for Grand Targhee posted. See them all. The resort started improvements this summer by adding new multi-use trails and rerouting several existing trails in their trail system. Complete kitchen renovation of the Branding Iron Grill and new mattresses in the lodging units. New surface and heat system will be installed. In addition, the resort will add new seating in Wild Bill’s Grill by expanding into the Arcade, creating room for a new Pizza Parlor dining outlet. Also planned is the increase in seating capacity in Rendezvous North and South Conference Rooms. The resort is investing in their ski and snowboard rental fleet with new equipment, will be adding boot dryers to all lodging rooms, replacing all coin operated lockers in Rendezvous Day Lodge, installing a new roof on Lodging Check-in, replacing the fitness equipment in the Fitness Cabin, and a complete renovation to the Powder Scouts facility. On mountain improvements include the purchase of a new winch cat, new terrain park features.